As The Institution of Marriage Declines In Numbers, What Happens to Traditional Estate Planning? There is mounting evidence, that fewer and fewer young Americans are choosing marriage. And, people often feel that the choice of cohabitating over marriage makes their lives simpler. However, in the area of estate planning, the choice of cohabitation makes tax and personal planning much more complicated for Pennsylvania residents. Well, for one thing, if you're married and a resident of Pennsylvania, the inheritance tax rate at the death of one spouse os 0% on transfers to the survivng spouse. The same couple in a non married status will face a 15% tax. Furthermore, when you are married, if you fail to make out a will, Pennsylvania state law will provide for the division of assets to the surviving spouse, and/or children if you have any. There is no such provision for unmarried couples. As a result, if one member of the unmarried couple dies unexpectedly, and without a will, there might be very significant taxes, and/or the assets might not even pass to the suvivor. Likewise, medicial decision making and the powers typically covered in a business or financial power of attorney become very important to consider when planning your estate if you are not married. In short, while a good will, power of attorney, and living will are vitally important for married couples, they are even more so for unmarried couples and they are simply essential for unmarried couples with children or who own a home. 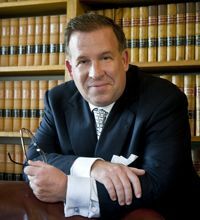 To get a will, power of attorney, living will or trust, or to update those documents, call 610-933-8069 for a personal or telephoen consultation with David Frees, Esq. For a reduced fee and a free initial consultation for Pennsylvania residents, call 610-933-8069 or email [email protected] and mention code: PABlog2010.